The EET system for Cooling Tower water treatment is known as Electronic Pulse Generator or EPG which consists of a power supply providing pulsing DC voltage to a set of coils which are wrapped around the recirculation pipe. The pulsing power imparts energy through the coils into water flowing in the piping which may be PVC or steel. Solids in water change their crystalline structure so they will no longer adhere to the pipe walls, but stay in suspension. The resulting precipitant particles are then filtered out of the system. The EET REV-FLO unit is configured for both forward and reverse fluid flow, which effectively doubles the exposure of water to UV radiation compared to other commercially available units. 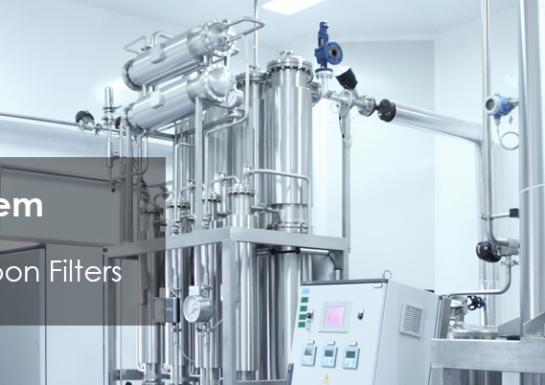 In addition, the exiting flow passes through a high intensity region of the unit, where low UVT waters are treated effectively, a feature for application in the pharmaceutical industry.